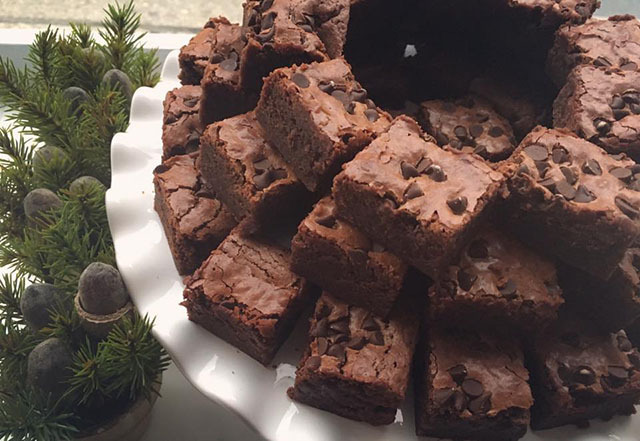 Forget the detox; now’s the time for comfort eating. Here’s our latest round-up of what’s happening on the Cornish food scene over the next few weeks. Don’t forget we love to hear from you, so if you have news to share, please feel free to comment below, or send us an email. 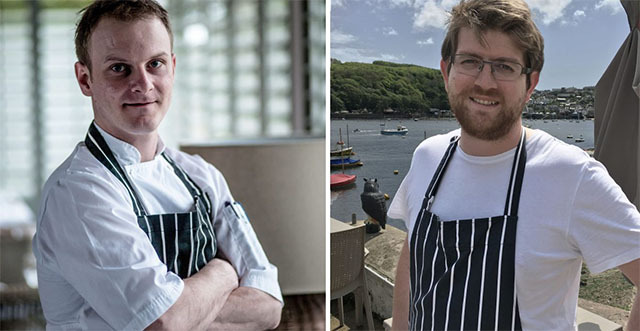 Ben Prior welcomes chefs/friends Adrian Oliver and Russell Brown to his restaurant, Ben’s Cornish Kitchen, for a six course feast on 28 January. Expect precision and classical cooking from the three talented chefs who will prepare two courses each. £45 per person, with optional wine flight available for an extra £25. On 4 February Ryan Venning of Little Gem Catering Company (formerly head chef of the Porthminster Beach Café) will be cooking a four course dinner. Expect flavoursome food inspired by Ryan’s worldwide travels. £40 per person, with wine flight also available. For reservations phone 01736 719200 or book online. Ben Quinn’s Woodfired Canteen will be popping up regularly in The Lost Gardens of Heligan this year. The first event takes place on Saturday 11 February. Expect big flavours and a hearty feast using produce from the gardens and surrounding farms. Tickets £35 per person (including a drink on arrival and access to the Italian Garden), available online. 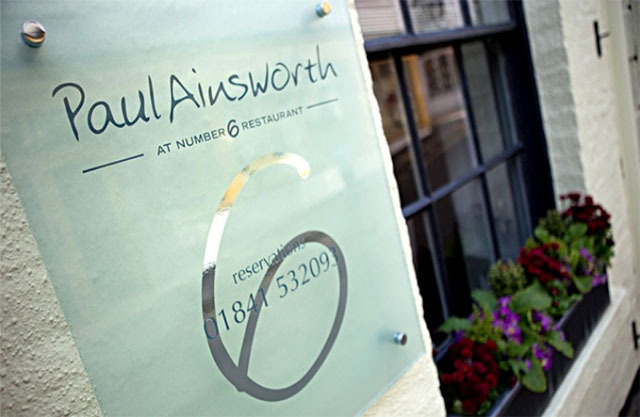 We’re looking forward to seeing the transformed interior of Paul Ainsworth‘s restaurant, No.6, in Padstow, when it reopens at the end of February. The 18th century Georgian townhouse will retain its charming series of rooms and nooks, but all diners will be seated on the ground floor. The first floor will house a new 19 seat bar area, exclusive to No.6 guests who can relax there with a drink whilst making the tricky decision of what to choose from the spectacular menu. For reservations phone 01841 532093 or book online. Scottish-born Richard Massey (pictured below, right), head chef at The Old Quay House in Fowey, has developed a six course tasting menu for Burns Night on Wednesday 25 January. For the ultimate Scottish experience, an optional whisky pairing will be available with each course. £50 per person. Phone the Old Quay House on 01726 833302 to book. The head chefs of sister hotels The Old Quay House and The Rosevine are going head to head for the ultimate food fight over two evenings. The first night will be hosted by The Old Quay House on Thursday 23 February and the second hosted by The Rosevine on Thursday 30 March. Over the two night the chefs (Tim Pile, above left, and Richard Massey, above right) will battle it out, flexing their culinary talents and showcasing their skills. There are no rules and the chefs are free to cook whatever they choose using the best local suppliers. Each will be cooking two dishes per night, and guests will vote for the winner at the end of each evening. Places can be booked by contacting each hotel individually: 01872 580206 for The Rosevine or 01726 833302 for The Old Quay House. Steve Marsh and Adrian Oliver are well respected local chefs, and their new venture, The Cornish Duck Truck, is destined for success. 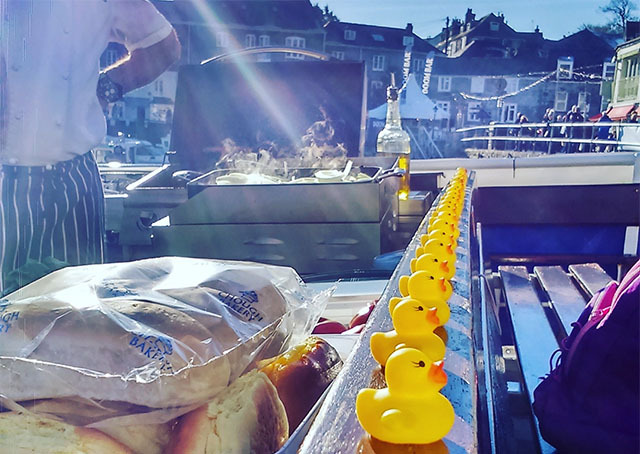 The pair have already attended a handful of events, serving up tasty Cornish Duck burgers and sausages from their gazebo, and have now launched a Crowdfunder campaign to help speed up the conversion of their van so that they are ready for this year’s events. There are a lot of Crowdfunder projects out there, but this has to be the best we’ve seen for a while, with decent rewards. Pledge £12 and you’ll get two burgers or hot dogs. For £500 Steve and Adrian will feed 80 guests (with burgers and hot dogs) at your own party anywhere in Cornwall. For full details visit crowdfunder.co.uk/the-cornish-duck-truck. 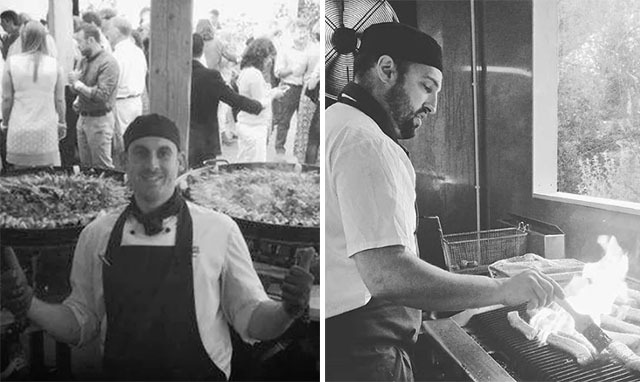 Keep Cornwall Fed is a brand new social enterprise event caterer run by Mike Greer and Stuart Millard (both work at the Eden Project, where Mike runs the Med Restaurant, and Stuart oversees all of the staff catering). After being involved in a project at Eden this year called The Crunch, the pair were inspired to try to make an impact in their local community by using the huge amounts of food that is currently wasted to reduce food poverty. Their goal for the first year is to feed 5,000 people living in food poverty, using waste and surplus food donated to them by their suppliers. To do this, they need to sell 5,000 meals commercially by catering at weddings, events, festivals etc.. They serve street food from a converted horse box, are catering the Eden staff party at the end of the month, and you will find them at Lost Fest and the St Ives Festival of Food and Drink in May. They already have a couple of weddings lined up, but are looking for more. If you would like more information, can help with the campaign, or are looking for an event caterer then please visit keepcornwallfed.com for more information. £25 per person, including food and entertainment. Buy tickets online or phone 01637 861295. After a brief interlude at No 1 Rock Road, Tom Mackins is back in the kitchen at Chapter 1 Restaurant in Newquay from 2 February. 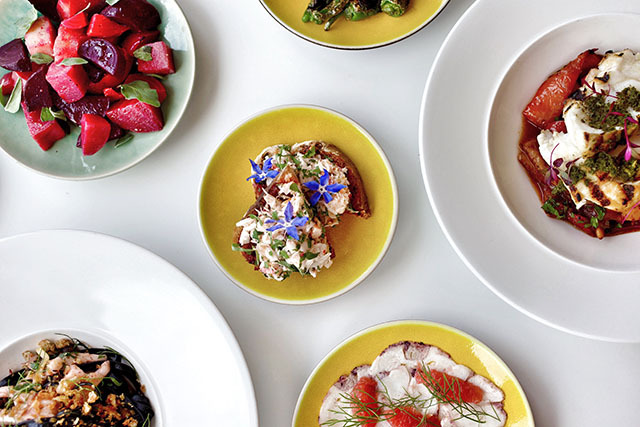 His new tasting menu looks as good as ever, with six courses priced at a reasonable £40. Check out his Facebook page for current menus. In addition to Chapter 1, Tom is launching a new venture on 26 January: The Pickled Cockle Eating and Drinking House, on Bank Street in Newquay. Expect simple bistro style food. No menu available yet, but keep an eye on Facebook for more details. Rick Stein Fistral has a special winter fish and chips offer: Enjoy fish and chips, bread and butter, and a cup of tea for just £7.95, whilst watching the waves crashing on the beach below. 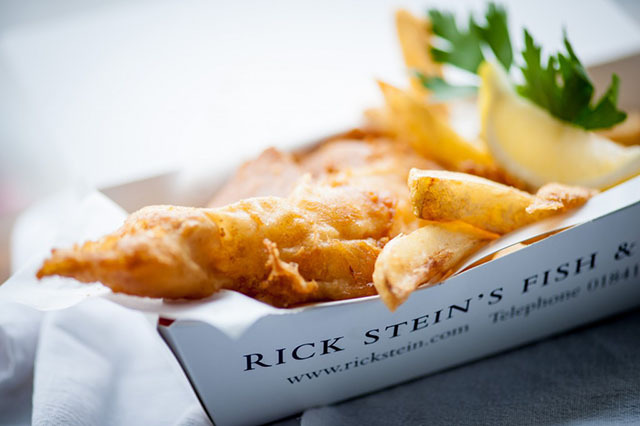 We also love Stein’s Fish and Chips in Padstow, the perfect treat after a bike ride along the Camel Trail. Back again, and as popular as ever, are The Seafood Restaurant’s charity lunches. Three delicious courses cost £19.95, plus a £2.50 cover charge which goes directly to Children’s Hospice South West. The sample menu includes a fish and shellfish soup with rouille and parmesan, or beetroot cured salmon with cucumber and apple pickle to start. 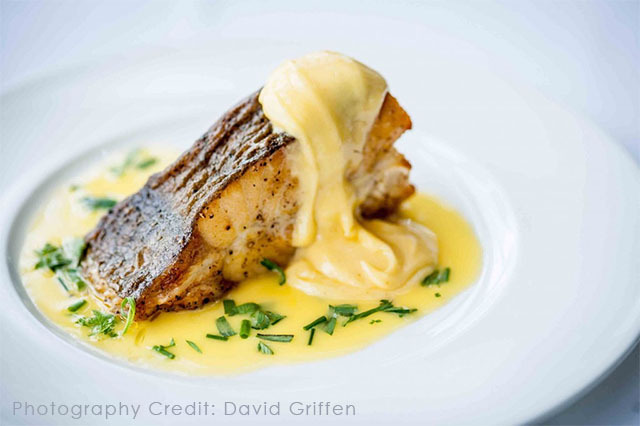 Main courses include baked fillet of hake with Serrano ham and cavolo nero, and fillet of plaice with savoy cabbage and a lemon butter sauce. 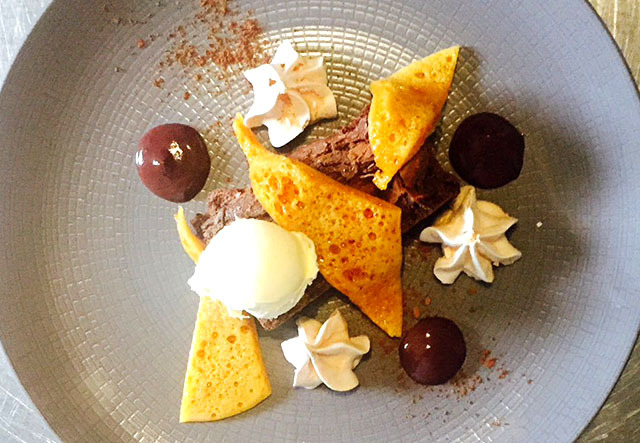 Finish off with a classic chocolate tart with ice cream and churros, or a lemon brulée with raspberry sorbet. The charity lunches run until Friday 10 February. To make a booking, phone 01841 532 700 or book online. Fowey Valley’s orchard and apple press sit right next to Castle Dore, an iron-age settlement and archaeological site and now also the name of their new cider. The medium-dry cider has a “beautiful, naturally occurring rose blush to it”; many commercial ciders are dyed to achieve the same effect. 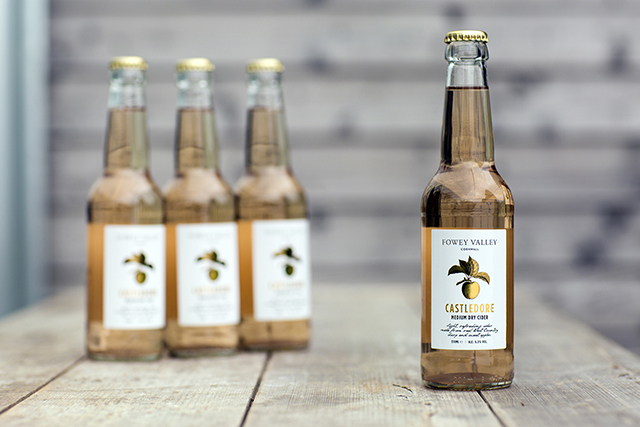 All Fowey Valley’s artisan ciders are produced in limited runs. For more details, including where to buy, visit foweyvalleycider.co.uk. Until Saturday 21 January you can enjoy Fifteen Cornwall’s new season five course tasting menu for £50 (usually £65). The winter lunch menu offer runs until 11 February, with three courses for £26, or four courses for £32. To make a reservation email phone 01637 861000 or book online. On Tuesday 7 February Pentillie Castle is hosting a Ladies’ Lunch, with guest speaker Amy Peake from charity Loving Humanity. Over lunch listen to Amy’s fascinating story of how she founded the charity in 2014, and the hope she has brought to so many women, culminating in the recent opening of her first factory in the Zaatari refugee camp, Jordan, just south of the Syrian border. 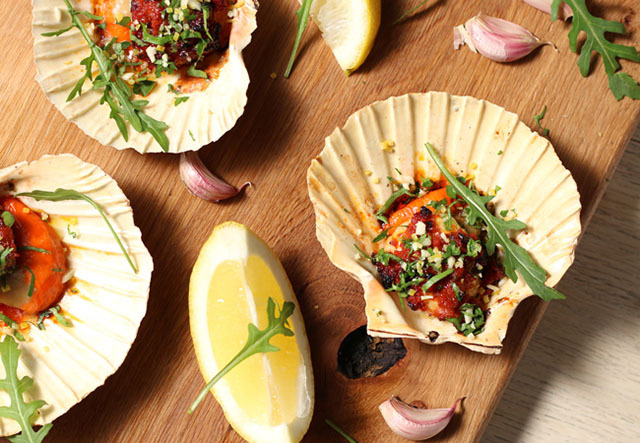 £24.50 per person for two courses with a glass of wine. Phone 01579 350044 to book your space. Pete Goss of Mayfly Wine Co. and Mark Hellyar of Chateau Civrac will be leading the wine tasting session at Coombeshead Farm on 4 February. 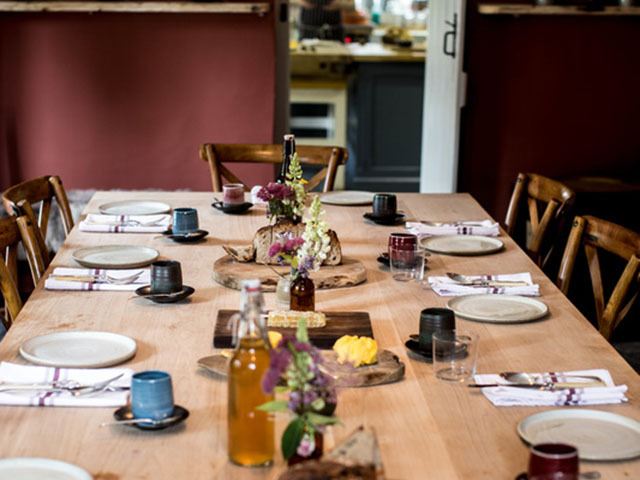 Guests will then enjoy a three course feast, with paired wines, in the gorgeous farmhouse run by Tom Adams and April Bloomfield. £75 per person, to book email [email protected] or phone 01566 782009. Just opened on Fore Street in Newquay is Wet Dog Pizza. The menu looks good and includes “Spicy”, topped with n’duja sausage, pickled habanero, Italian tomato sauce, buffalo mozzarella and fresh coriander, and “Seafood”, topped with Cornish crab, hot-smoked mackerel, Italian tomato sauce, buffalo mozzarella and fresh dill. We especially like the fact that all pizzas are available in a 7″ size, which are priced between £4 and £7, and perfect with one of the delicious sounding salads. Plus there’s a dog menu, featuring a special dog pizza topped with dried capelin fish and whitefish jerky sprinkles (yum) and a choice of chicken or beef favoured dog beer. 10% of dog pizza sales goes to St Francis Home for Animals. The Idle Rocks has announced its partnership with The Lost Gardens of Heligan, coinciding with Heligan’s 25th anniversary of being open to the public. 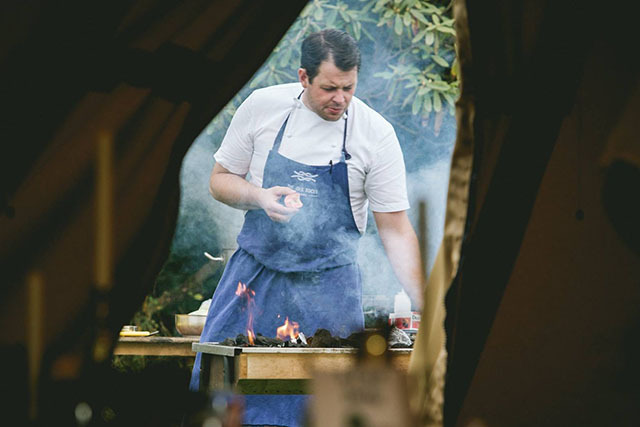 This collaboration sees the best heritage produce taken from the Heligan Kitchen Garden and showcased by Guy Owen (pictured above, cooking at Heligan last autumn) and his team (at The Idle Rocks). The gardens boast over 300 varieties of heritage fruit and vegetables as well as a collection of rare breed livestock; many of which are seldom seen in restaurants today. These will be featured throughout the seasonal menus at The Idle Rocks, with a trophy ingredient showcased each month. Soil to Plate – The Lost Gardens of Heligan & The Idle Rocks Story is available to watch here. 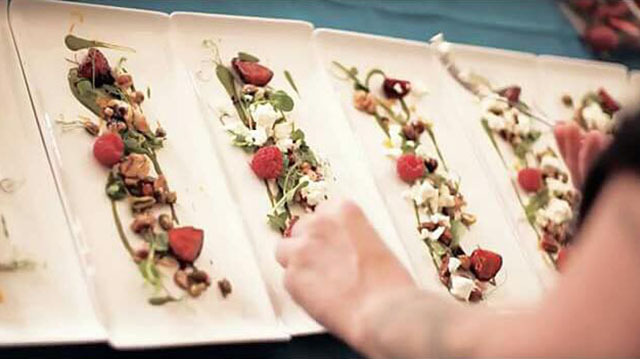 Nat Tallents‘ next supper club takes place on 26 January at The Garden in Newquay. Nat will be hosting and cooking, and the seven course menu will be revealed on the night. We experienced Nat’s brilliant cooking last year when she was head chef at Lusty Glaze – read more here. Wine pairings and drinks are also available, and Nat will cater for vegetarians, vegans and food allergies. The seven course feast is priced at £45 per person, with twelve seats available. Highly recommended. Phone Nat on 07917 756763 to book your place. Nominations are now open for Coast Magazine’s Best Coastal Seafood Restaurant of the Year Award 2017. The judges are looking for establishments that support their local fishing industry. Restaurant owners and chefs can nominate their own restaurant, or be nominated by customers or suppliers. In 2016, Outlaw’s Fish Kitchen in Port Isaac was the only Cornish restaurant in the final ten. Come on Cornwall, let’s get more of our local restaurants on the shortlist this year! Nominations close on 17 February. For more information and to nominate your favourite restaurant visit the Coast Mag website. 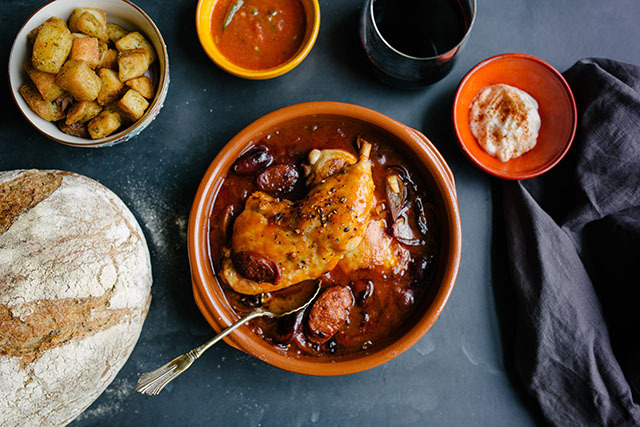 For Sunday lunch with a difference, pop into Pintxo in Fowey for Catalan stew, served each Sunday from 12 noon to 6pm until Easter. The delicious stew is served with traditional side dishes for £8 per person; why not wash down with a jug of wine for only £12? Phone 01726 337450 for more details; no reservations. 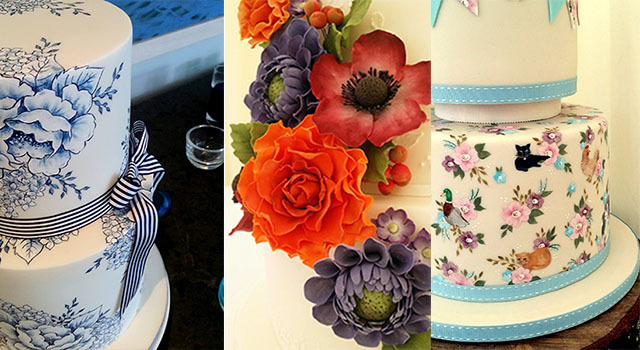 We’ve just heard about Emily Hankins, a Cornish artist and designer, who bakes and decorates cakes. The photos above say it all; contact Emily directly via her website to arrange an initial consultation over a cup of tea, and of course a piece of cake, in her studio in Princes House in Truro. Lunch in Truro has got even better since the opening of Emily’s on River Street. Expect lots of delicious healthy options (salads, soups, paninis, hot and cold sandwiches, toast, smoothies, hot and cold drinks) plus very good cakes. On Saturday mornings try the giant fluffy pancakes. Coffee/food deliveries available (£5 minimum order within city centre), plus event catering and smaller business/personal gatherings welcome in the café. For full details visit emilystruro.com. If you’re organising an event – anything from team building to private dining – Philleigh Way Cookery School can help. The team are happy to tailor their existing cookery courses to suit your group, or create a course especially for you. Contact details on their website. A new course for 2017 is Indian Cookery, run by Jasmine Sharma and Ben Martin of the Maha Masala Spice Company. The next course will be held on 10 February and is £150 per person, including lunch. Details of what you will cook and learn can be found here. 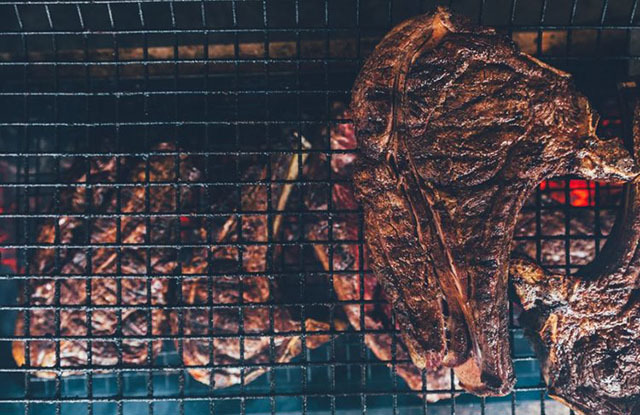 As well as numerous other courses and events, check out the last few Game Cookery lessons of the season, and the Valentine’s Supper Club (£40 per person). 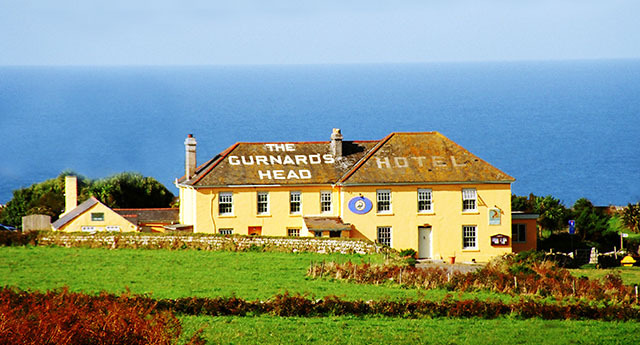 Everyone loves The Gurnard’s Head and it’s more popular than ever now the annual Lunch for a Fiver offer is back on. Mention Lunch for a Fiver when booking and one diner eats for £5 when the other pays full price. Also available at their sister hotel The Old Coastguard, Monday to Saturday until 28 January. EATDRINKSLEEP, the company which runs both hotels, along with The Felin Fach Griffin in Wales, raised £1,500 at the end of last year by diverting 5% of their Christmas gift vouchers that were bought by guests in December. The monies raised will be shared equally between three local charities: the National Coastwatch Institution; Cornwall Hospice Care; and Cancer Research Wales. Sam’s Diner is now open at the St Austell Bay Retail and Leisure Park, serving big breakfasts, and burgers, hot dogs, steaks and sandwiches throughout the day and evening. Plus there’s an extensive cocktail menu. The new Skinny Kitsch range is brilliant – click here to see the full menu – super healthy snacks, shakes and meals designed with a nutritionist. Expect dishes to be full of flavour, high in protein and low in carbs. The kids’ menu includes mini moules, burgers, fish and chips for £6. Puds are £3, and if you pay for two courses, kids get a free drink, including a milkshake. Oliver’s Restaurant at the Pickwick Inn in St Issey is offering a winter lunch deal, with one course for £12, two for £16, or three for £20. They are also running an Eat and Stay Deal from Monday to Friday until the end of January, with dinner bed and breakfast available from £150 for two people. For more information visit pickwickinn.co.uk or phone 01841 540361. 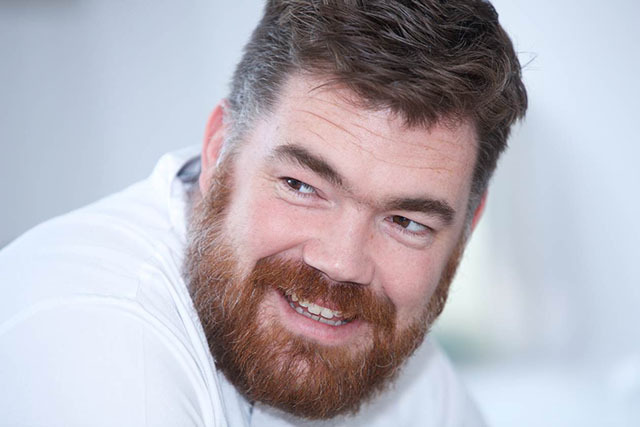 Nathan Outlaw will be guest chef at the Great Cornish Food Café in Truro on Tuesday 14 February, where he will be hosting a five course seafood feast. Joining Nathan in the kitchen are Zack Hawke (The Mariners, Rock), Paul Ripley and Nik Tinney (both from the Great Cornish Food Café) and The Newquay Singers will be singing traditional sea shanties between courses. To book a table, phone 01872 306063 or email [email protected]. 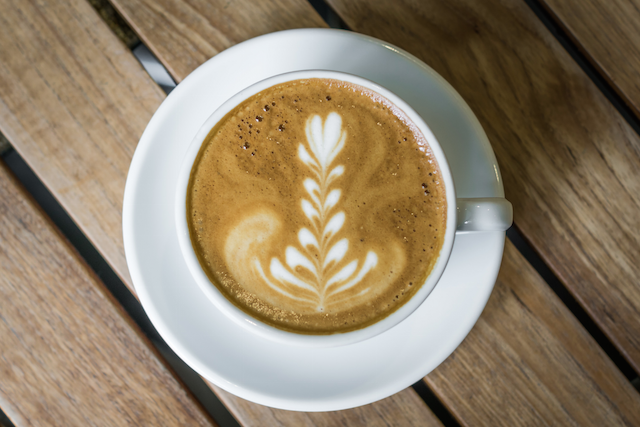 binTwo and Rising Ground Coffee are getting together for a morning all about coffee. This course is ideal for the home-brewing enthusiast or anyone who would like to learn how to make decent coffee at home, and is hosted by Hugo Hercod, sometime UK Barista Champion and all-round coffee geek. The three hour course will take place at binTwo’s Hawksfield Hub from 9am to 12 noon on Saturday 4 February and costs £35 per person, including pastries, coffee, and 250g coffee beans to take home. To book a place contact Hugo directly at [email protected] or phone 01208 814214. Tom Thumb’s first event of 2017 is a French wine tasting experience on Sunday 29 January, hosted by wine experts Jake Henderson and Meeche Hudd from The Scarlet Hotel. Each session is limited to 12 people, costs £15 per person, and includes canapés to match the wines. Sessions are as follows: 3pm to 4.30pm; 6pm to 7.30pm; 8.30pm to 10pm. Tickets must be purchased in advance. For full details see the event page on Facebook. Tim’s Place in Wadebridge will soon be opening fortnightly on Friday and Saturday evenings for a new supper club, promising a “relaxed and enjoyable evening showcasing the beautiful produce and food on offer in Cornwall”. Tim will also be holding a special Valentine’s evening, with a delicious looking menu priced at £18.95 for two courses, or £22.95 for three. Tim’s Place is open from 9am to 5pm, serving breakfast, cakes and pastries, light lunches such as quiche, soup and sandwiches, and leisurely lunches for those who have more time to enjoy their food. For reservations please phone 01208 812550. 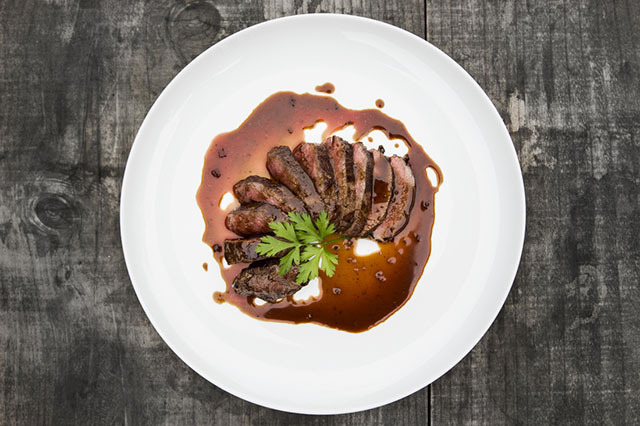 Etherington’s Farm Shop is hosting Japanese cookery workshops with Naoko Kashiwagi of Naoko’s Kitchen on 23 February (6.30pm to 9pm) and 25 February (11am to 1.30pm). 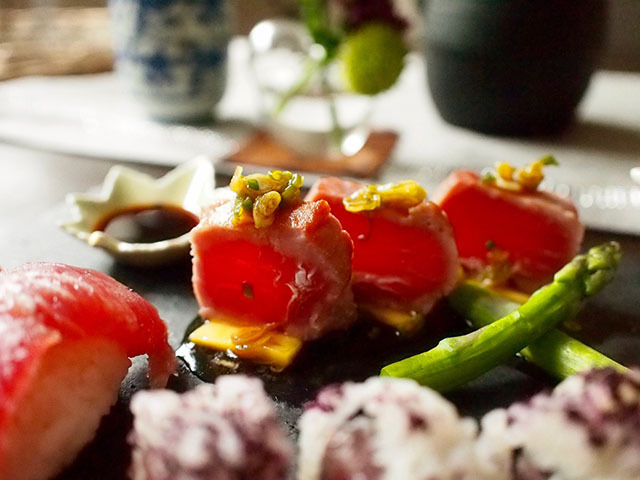 Each session will begin with an introduction to the fascinating history of Japanese food, followed by a sushi making demonstration; participants will then have a go themselves, and finally taste their creations. Naoko and her guests will be preparing dishes such as Cornish crab inari sushi, lightly seared tuna in yuzi soy, and teriyaki chicken steak. Spaces on each workshop are limited to 15 participants and the price is £32. Call 01209 899203 to book a place. Check out The Sanctuary‘s Sunday film screenings, with children’s movies in the afternoon, and more grown up films in the evening. Perfectly accompanied by a fine selection of wine and wafer thin slices of Jamón Serrano. Craftworks’ new food truck will be hitting the Cornish roads from April. Look out for them at street food feasts, festivals, weddings and pop-ups. Rosewarne Manor‘s monthly tasting menu evenings take place on Fridays 27 January and 24 February. Expect 7 or 8 delicious courses, £45 per person. Good luck to everyone nominated for the Food Mag Reader Awards. The awards ceremony will be held on 6 February and Cornish nominees include Nathan Outlaw, Rick Stein, Appleton’s at the Vineyard, Guy Owen, The Scarlet, The Idle Rocks and Strong Adolfo’s. The Carew Arms in Antony currently has a great winter lunch menu – “Winter Blues Set Menu” – with two courses for £12 or three courses for £15. Also watch out for regular film, quiz and games nights, and live music. St Tudy Inn is offering a set “Workers’ Lunch Menu” with two courses priced at £15. Available Monday to Thursday lunchtimes. A date for your diary: 2 March sees A Night of Negroni at the bar at Fifteen Cornwall, with a talk on the history of the cocktail and little plates to accompany it, £35 per person. Nancarrow Farm‘s next feast will take place on 28 January with bed and breakfast packages also available. Potluck Cornwall is holding a Burns Night Feast at Nancarrow on 25 January. A few tickets are still available, £38 per person, available online. Watergate Bay has extended its winter Taste of the Bay offer. Stay at the Watergate Bay Hotel for three nights, with dinner at Zacry’s, Fifteen Cornwall and The Beach Hut. Visit the Newquay Food Assembly website, where you can buy from local producers, and collect everything in one go from the assembly’s HQ on Thursday evenings. The Star and Garter in Falmouth is extending its Monday Blues and Brisket nights to include dishes such as stick oxtail, crispy lamb belly and dirty cheese on toast. From 6pm, booking advisable. We’ve only just heard about The Greenhouse in St Keverne; the menus look great, especially the Moorish feast on 14 February. Visit their Facebook page for full details. Feel free to comment below, or send us an email. If you have news for our March Foodie Diary, please email any information to reach us by 20 February.